Ferdinand Porsche always dreamt of building a 4-door GT. In 2009, his dream was realised with the Panamera, a car that was designed to ensure it didn’t dilute Porsche’s sporty nature. The Panamera has come on in leaps and bounds since its first outing, the model range includes a petrol-electric plug in model with an electric range of 20 miles, a 513bhp twin turbo four-wheel drive only Turbo and a solid range of diesels too. Ever car offered by Porsche takes design cues from their headliner, the 911. 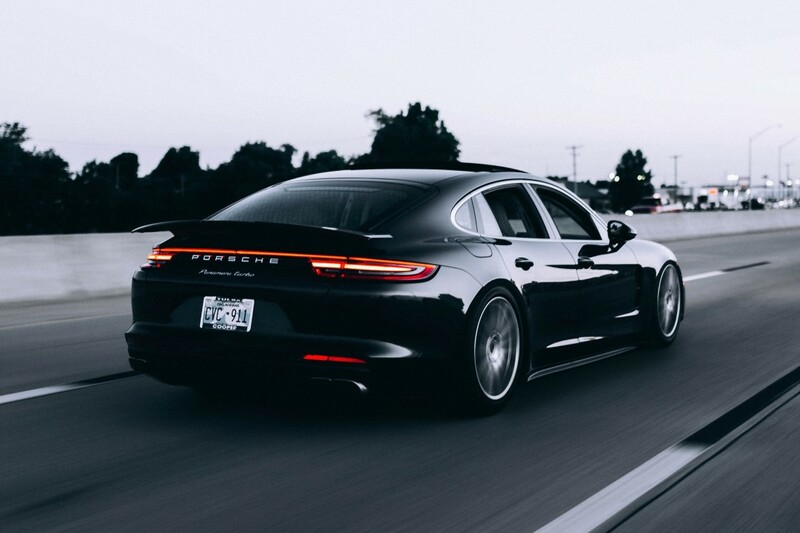 The Panamera is no different, featuring high set front wings, the bonnet shutlines and impressively, the sloping roof line too. If you take a look at the Panamera over the years you can easily spot the difference between each generation thanks to the relocation of the number plate. Each change emphasises an increased width and lower stance. As you’d expect, the interior is a fantastic place to spend your time. The layout makes perfect sense, the seats are fantastic, and the materials alone are worthy of the price tag. Porsche is lacking one thing when compared to its rivals though, and that is a fifth seat. In the pursuit of comfort and style, two sperate seats have been placed in the rear rather than a standard bench. While this may be annoying for families, rear passengers will be thankful of the generous space on longer journeys. This car was designed to be a Porsche first and a luxury car second. That doesn’t mean it can’t compete with a Mercedes-Benz S-Class or Jaguar XJ in terms of comfort, but it does mean that when you push it hard, it’s more than capable of putting a smile on your face. Diesel options provide good performance and great economy figures, while some of the higher output petrol versions can put some focused sports cars to shame on a track. Discover our used Porsche Panamera cars in Derby by paying us a visit or viewing the range online!